There are 20 reviews of Laundromat. Quite light, clean, slightly soapy. Fresh, clean, slightly soapy, bright. I get soft sillage, limited projection and six hours of longevity on my skin. Light and nice for spring days. One can muse over the raison d’être of such types of scents. What next - air in a vaporiser? But I have to skedaddle to do my laundry - the real thing.... 2.5/5. The UK version of this is called "Fresh Laundry" but has the same colour Blue background on the label. This is a pretty decent approximation of what it attempts to be. It does smell clean and fresh and that's about it. Will it set your world on fire? 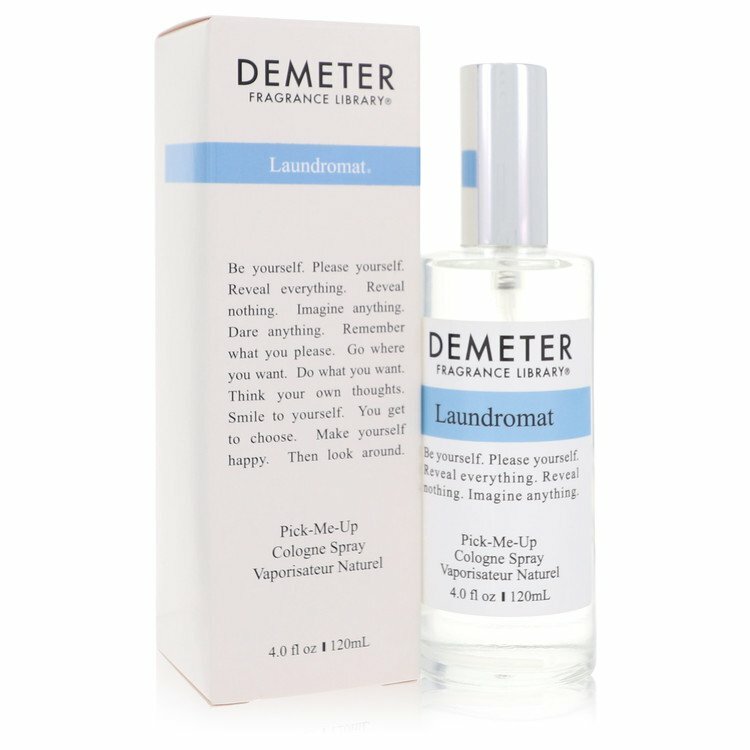 I doubt it but I like Demeter's straightforward approach not only to their individual fragrances but also to the layering options of each fragrance. It's a nice way to build your own custom scent. I must admit I was dreading this, after reading Barbara Herman's description of it:Hot clothes coming out of the dryer - and its ingredients: Muguet, Mint, Starch, Balsamics. Actually, though this is not bad. It's a sweet rendition of air freshener, dryer sheets, old fashioned sun tan lotion. In fact, it resembles the last more than any of the others. I guess you would call this the epitome of the 90s decade's "clean" scents. Unfortunate name, though. I would have chosen something like "Au Soleil," which is closer to the sun tan lotion reality of the blend. Worth a try - not great, but at least decent. If only they would change that name. I love the idea of this scent; actually, I love the idea of the entire Demeter fragrance library! They bring back the fun and silliness in the scents I smells I remember from childhood. To me, it's bottled nostalgia, which, if you think of it, is one of the main reasons people wear a scent at all - either to create a memory or evoke one. So, this manages to capture the entire laundromat experience in a bottle; from the soap and fabric softener to the warmth of the dryers! Needless to say, I feel clean and fresh while wearing this. It's the fragrance equivalent of a classic Calvin Klein dress; simple, clean, and fresh. I have taken to wearing it to the gym lately, especially to my spin class. While I'm working hard and breaking a good sweat, I feel comfortable knowing that I smell clean and I am not offending anyone!! I've even gotten some compliments from some of the bodybuilders. LOVE IT! When I got the sample, I kinda had ideas of what to expect. I mean, it is called Laundromat so I figured at the very least, it should smell of laundry detergent and/or dryer sheets and/ or fabric softener. Well, it does not smell like any of these to me at least not in the North American laundry/laundromat way. I suppose in that respect Demeter might have failed with this one but imagine my surprise when I sniffed it and it smelled EXACTLY like Omo detergent powder!!!!! The bright blue small granules of Omo!! Oh My Goodness!! I still can't believe it. Most of my boarding school mates used this detergent and I would get some from them when my beloved Klin detergent ran out (gosh I miss my Klin! Nothing like it). Anyways Omo, I mean Laundromat :P, has a non-floral, dark soapy scent if that means anything. It does not have as much lightness/brightness as regular soapy scents and I think this makes it odd to some people who reject it quickly because they don't understand such a combination but it works!!! If someone who likes soapy scents gave it a few more tries to get used to the combo, I am confident they would change their minds and fall for this scent. It is a beautiful scent albeit HEAVILY soapy! I am talking soapiness to the MAX! I suppose this makes sense given that you use more soap when doing laundry than when showering. The scent is linear and stays this way even in the dry down which in this case is a good thing. It lasted at least 8 hours on me. 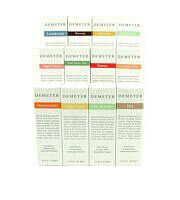 For something more conventionally soapy, Demeter Pure Soap would do though I think Laundromat is worth sampling :).